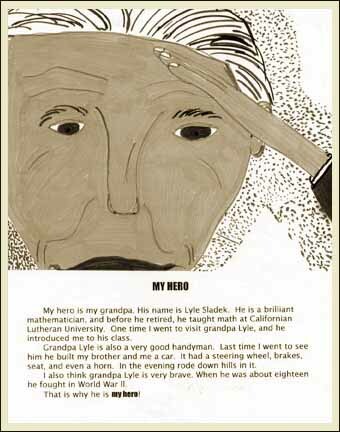 "Although many American soldiers performed heroic acts, I did not meet a single one who had set out to become a hero"
LYLE SLADEK lives with his wife Patricia in California. 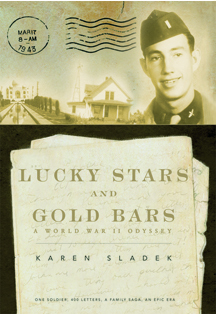 A multitude of experiences while in the Army Air Corps during World War II profoundly shaped his life. He treasures memories of the wonderful people he met during those years and would like to renew acquaintances. "It was my good fortune," he says, "to orbit with so many outstanding individuals during that time. It is my hope and prayer that the intervening years have been as kind to them as they have been to me." 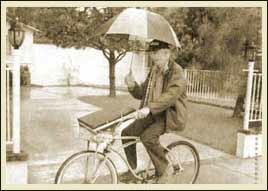 Now Professor of Mathematics, Emeritus, at California Lutheran University, Lyle peddles his bicycle around the campus, frequents the college library, and shares stories with friends. He retains his penchant for puns, poetry, and language as well as music, history, and writing. One room of his home is cluttered with puzzles and posers as well as artifacts that illustrate concepts of mathematics and physics. Along with tending a garden, tinkering in his workshop, and playing pool or bridge with his buddies, he stands ready to help friends and neighbors with house repairs. Although Lyle has been the recipient of many honors and awards, he has kept the down-to-earth traits of his early upbringing in the heartland of America. Along with his biographical sketch in Who�s Who in America is this tribute to his parents: "I have sought to return full measure to society for all the opportunities and joys of life that have come my way. I learned from my parents during the dust bowl years that adversity often can be overcome through patience and determination." Should you stop by for a visit, bring a dictionary because Lyle will likely ask for your help in solving the daily newspaper crossword.